So my 1 year old shiba female was leaking urine the other day. I was freaking out and thought maybe her bladder had ruptured or she had a UTI or something! Well I brought her to the vet the next day and my vet explained to me how this is common among females who have been spayed at a young age! I have never heard of this before! So, I went home that day with PROIN (hormone replacement for urinanry incontinence) and immediately started her on it.I did more research online on Proin and found that many dogs are on it and, actually, many dogs experience the same problem! I really have NEVER heard of anything like it. Well, I came upon someone's blog about PROIN saying that it was causing strokes in dogs! There were many testimonials about how their dogs have died of a STROKE after starting the drug!They were saying how they wished they knew sooner bc they would have rather dealt with the urine rather than having their dog gone. This broke my heart reading how all these people's dogs died! I am surely going to call my vet in the morning! I am not going to continue this drug if there is ANY risk for STROKE in my little girl. Anyone elses dog on PROIN? My mother had a triple bi-pass 6 years ago and the doctor put her on Lipidor (? sp) even though she never had high blood pressure. It ended up causing her liver to begin failing. She has since taken herself off the med's after weighing the pros and the cons. Con liver failure overruled any of the pros!!!!! You're doing a good job researching any and all medication that your vet prescribes. Keep doing your homework and call your vet to confirm the side effects. Also, look into alternative treatments and please keep us posted. I'm sorry that you are going through this. Thanks so much for your kind words! I will keep posting! Yes, I am definitely going to be doing more research! I am currently looking for alternative meds, but so far I think I am going to see how she does without it for now. My vet says some dogs just have episodes of incontinence then it goes away forever, so I am hoping that Luna is one of those cases. Um, I have to ask... did your vet test for a UTI before he sent you out the door with medication? I would suggest you get a second, or possibly a third opinion. See if you can get a hold of another vet at a different clinic and see what they think about it. Yes, they took a urine sample. I actually brought it up myself and called in asking if I need hold off on taking Luna to the bathroom so she had enough urine for a good sample. I guess my vet wanted to try the medications before anything bc Luna had no signs/symptoms of a UTI, but they took a sample anyways just in case. And YES, I definitely will get more opinions. I just found this our recently and just wanted to see if anyone else knew more about it. This is a common medication (also called PPP-ironic I know, or phenylpropanolamine) used to treat urinary incontinence in dogs that can occur more often in spayed females. However, male dogs do take this med as well, as do older unspayed females and pre-pubertal un spayed females (female puppies with incontinence). In people, it was found to contribute to the risk of hemorrhagic stroke in pts that had artery disease and hypertension. It is not believed that pets experience these same side effects. The only side effect I have experienced with client dogs in all the many years of having them take this med was slight hyperactivity/restlessness. They all have lived/are living, long happy lives with no reported strokes. "Common sense isn't so common"
Reilly's dirty little secret- she has been leaky since 8 months old. She is 6 years old now. (she will kill me for putting this on the internet...if only she knew) She was spayed at about 11 weeks- like all the other shelter puppies, before they are allowed to go home. I wish I had had a choice- I would have done it later, but I didnt know about estrogen incontinence and I figured the shelter vets knew best. They probably do. This seems horribly early to me, but vets say "There is No Good Science- no study - that proves any connection between early spay and estrogen incontinence." So there, I guess, we have it - for now anyway. Rei was tested for UTI and even ultrasounded for ectopic ureter- everything fine- she just leaks. She has been on Proin daily for over 5 years and she exhibits no effects other than a dry bed 98% of the time. I always make sure she empties out before bed and doesnt spend too long without peeing. She doesn;t realize she's dripping, so I have to keep aware of her outs. Even on Proin, she can leak if she doesnt pee on last outs at night, so its not perfect on her. So I have a waterproof cover on her bed insert, that way only her cover gets wet, if she leaks at night. It is unusual for dogs to be leaky as early as Reilly and your girl, but it happens. Frankly, I felt my vets were a little TOO $cientific about their diagnosis, as odd as that sounds, but I can accept it. They tested her thoroughly and it cost a lot of money, whereas my sister brought her lab in for the same thing and her vet ruled out any infection, then rx'd proin- saying if it doesnt respond to this, we'll look at ultrasounding. Cleo was fine and came off proin after a while. Reilly will always be on it. I have been told by various vets in her life that Proin is safe, and have known other dogs on it, but that as she is on it longer and if it loses effect (she started on 2 a day, went down to 1 for years but takes 2 a day now-- but she is a big dog 75 lbs) she may need to take DES, which can affect bone marrow... (ulp-) so I am afraid of that until I have to deal with it. So Bootz incontinence has been getting out of hand and was wondering if anybody can add any more personal experience with PROIN? Also instead of risking the side effects I was thinking about trying "Leaks no more" which is said to have no side effects at all. If an admin can add in PROIN to the title of the thread that would be helpful for readers lol. I have no experience with this, but I did add PROIN to the title! Hope you can find something that works for Bootz! It's an excellent drug. Sorry however that Bootz needs it. 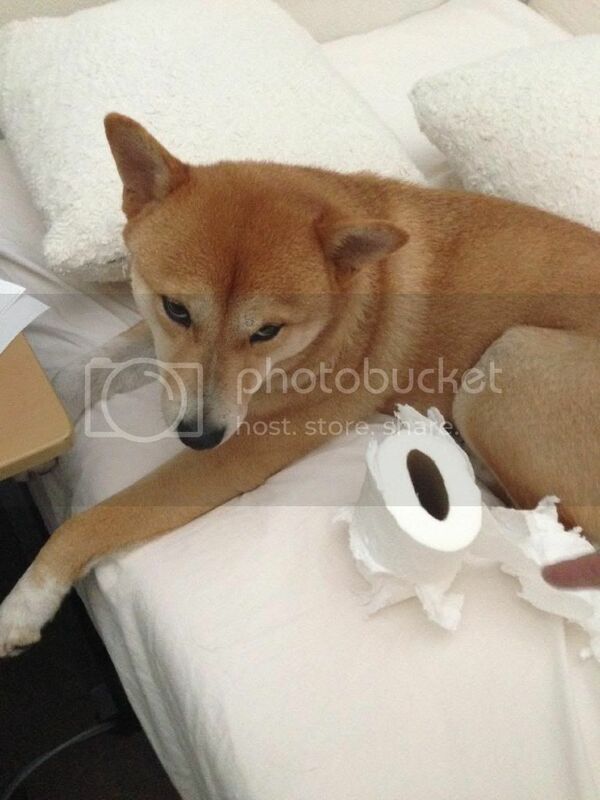 Incontinence is not fun for house pets! Some owners report some hyperactivity, but the benefits far far outweigh it IMO. @lindsayt, any inputs on DES aka diethylstilbestrol? My vet recommended that over PROIN. My partner and i are worried about the stroke risk with PROIN. DES is 4x more in terms of price but does not have that stroke risk. Although DES might cause bone marrow suppression - which we are willing to pay for the blood tests to monitor it. DES is a major factor in breast cancer, so many do not use it. There is a new synthetic estrogen derivative called Incurin just coming on the market, which is much safer than DES. You can taper the dose to just a few times a week. I would go with Incurin, or Proin myself. Proin is very very safe. As for strokes, people got them during trials because they were freaking overweight and unhealthy. @lindsayt, lol my bf said the same about the stroke only "overweight and unhealthy" and then we realized my BCP has that same risk. XD thank you for your input. We will go ahead and tell our vet we decided on PROIN. Started Bootz on PROIN, she's been on it for over 2 weeks now? Her leaks are doing great. Went from a 6 inch in diameter puddle...down to a half inch puddle. She's only on half a 50 mg pill a day. I don't see any side effects. She does seem more mellow when she started on the pill...but that is also a Shiba thing with age so I'm not worried about it. I was actually looking forward to the hyperactiveness :( But was disappointed not to see any! @lindsayt does the pill make them more grouchy? I mean Bootz and Jackie are both females so its not unexpected but...for the first time yesterday I heard Bootz growl at Jackie when Jackie tried to go underneath the covers (where Bootz already was cuddled up next to me). I haven't heard of it causing that. My girls will growl at each other also when they are tucked in bed and one wants to steal a spot. 1/15/13 update - Bootz has been on Proin for about 1-1.5 months now. I reduced her medication from half pill to quarter pill...Mainly because i'm running low and it took a while for my prescription to be filled. She still didn't have any leaks. So I will be keeping her on the quarter pill/day. Wow. Its been a year. But I notice since I have reduced her pills to 1/4 pill every 3 days...Her activeness came back....which i find odd! Thanks for the update Bootz its really reassuring. We're at the point where we need to take Suki back to the vets and go down the chemical route. We tried no more leaks which worked at first but then stopped even when we reduced the dose and missed days as recommended. I don't mind washing her bedding but we're having to restrict where she goes in the house and she used to love lying on the spare bed whilst I worked. I wish I'd listened to our breeder and waited until she was 2 before having her spayed although we did have a battle with the vet to let her have 1 season. @mico I don't think waiting til 2 years of age would affect the incontinence. There is a chance your dog will get urinary incontinence once spayed, and also a chance you can get urinary incontinence due to age. Removing the uterus itself and support structures, or aggressive manipulation of tissues during surgery, are probably more of a contributing factor to spay incontinence than allowing to go into heat. Glad Bootz is doing good on a smaller dose. So...I officially stopped Bootz medication. She's been going strong for about 1-2 months now. No leakage. her personality definitely is coming back. Has her activity level increased too? Ha! I was going to say yaaay for Bootz, then I saw the picture. Well, yay for Bootz anyway. @Zandrame energy level is basically the same...I would say she's a wittle bit more energetic...but still mellow. For example, while i'm brushing my teeth, she'll randomly initiate play :P Before she wouldn't "jog" with me, but now a days, she won't mind a nice jog around the park. As @Bootz suggested, this is a better place for a discussion than the UTI thread on the pros and cons of Proin since it has now been confirmed that Kit does not have a UTI. She hasn't had any dripping/leaking/puddle issues since we took her to the vet Saturday, and the vet wants to start her on the Proin at three times a day for the first month. I guess at this point I'm not sure if putting her on medication three times a day is worthwhile for a problem that seems minimal at this point. So far we've noted that she has issues controlling her bladder when she's excited, she urinated on the couch about a two weeks ago (but we had just come back from a four day absence and she gets pretty excited), last Thursday I woke up to find a large puddle on the side of her bed, and she was laying in it, and finally on Saturday morning after she got up from sitting next to me on the bed there were spots of urine where she had been. Since Saturday morning, I have not seen any bladder control issues. I guess this doesn't mean they're not happening, just that I have not seen them. Is this something that is going to get worse if we don't take action with it now? What's the risk v. reward for waiting to start her on it until the issue does get worse, if it does? If we start her now, is three times a day excessive to anyone else or do you sort of have to use that as a starting place and reduce from there? Whats the dosage they suggested? Proin has many different dosage level. But 3x a day does sound excessive if Kit is having small infrequent accidents. Bootz was on half a 50 mg pill a day. I think the doctor recommended 1 pill a day, but my husband said it was too much and did half a pill a day. (quarter in the morning, quarter at night). Her accidents and my experience was listed in the earlier posts in this thread. Let me know if you have any additional questions! The way I see it, the medication is to help your dog RE-GAIN control of their bladder. Right now, the fact she leaks, suggest she is struggling. I would definitely recommend putting her on it if she shows additional leakage, and then slowly wean her off of it. My ex-foster was put on Proin. She was about 45lbs when she got it and was prescribed 50mgs, 2xs a day. I was told the effects of the drug diminish as time goes by so the dosage would need to be upped in the future. So I decided to half her intake and see if that worked (got the ok from the vet first). 25mg 2x a day worked like a charm. When she got adopted, her new owner put her on DES and slowly weaned her off it and she is now good as new. Bootz, that is great you slowly lowered the dosage and was able to get Bootz off completely. YAY for you! I also wonder if losing a lot of weight (as in my ex-foster) or lack of exercise contribute to UI. @Kit_Keet, we were where you are now last year and felt exactly the same, Suki didn't notice she was dribbling and it was intermittent and as it was impossible to get a water sample off her we didn't do anything. She made a great improvement from August onwards and was mostly dry and any accidents were only a little drop until early June (not long after my daughter came home from uni). During the winter she'd be on her own for 4-5 hrs at a time and I'd come home at lunchtime to let her out for a wee but now she's got almost unlimited access to the garden she's having 3+ accidents a day - she can being sitting next to me outside or watching me cook and suddenly there's a puddle so she obviously can't help it or feel that she's peeing as she's only a couple of steps away from the grass/open door and the expression on her face says 'who did that'. Unless the tests done this week reveal any other problems we will be going down the medication route and our vet's already discussed 2 possible drugs although the names are different in the UK, she'll also stay on the urinary SO diet for another 4-6 weeks before switching her to a maintenance diet. Suki's problems were only minor (to us) last year and I feel terrible that we might've been able to fix her then because her whole personality has changed in the past month and we want our smily shiba back. @Bootz - the vet tech called to let us know about the test results and the medication recommendation, and the vet wasn't available when she called so I didn't get a dosage level. The vet tech just stated that they recommended putting her on it three times a day for the first month and adjusting from there. As you stated, she obviously needs some help re-gaining control, and as much as I feel like it's not that bad right now and I don't want to unnecessarily medicate her, but I don't want it to get worse either. It seems like starting the Proin now is the best option. @mico - Thank you for the perspective! I think I'll talk to the vet about the frequency of her accidents and ask whether the dose currently suggested is really necessary. I don't want Kit to get upset about her inability to control her bladder and have a personality change as a result. She was upset enough to wake up in a puddle. She has been a little "off" lately too. Bootz was the same. She was very embarrassed by her leaks and tried to cover it up by licking it dry. I always console her, said its ok, while I cleaned her up. Proin definitely helped her. Make sure to talk to your vet to see if you can take it slow. As I stated before, she took half a pill of 50 mg (so only 25 mg a day, split into morning and night). FYI at the time she was about 27-30 lbs i think. @Bootz - Thanks for the input here. Because of your experience (and because Kit and Bootz are very close in size) my vet and I talked it out and we went from half of a 25 mg pill three times a day to half twice a day for the first month or so and then we'll reassess from there. She's only been on it a couple of days, but no ill side affects as of yet, and I haven't even noticed any hyperactivity (or drop in energy level) but as I said it's only been a couple of days. @amti - Interesting that you were told that the dosage would need to be upped eventually. Everything I've read about Proin seems to indicate the opposite, and my vet also stated that it is likely we will be able to reduce and possibly completely eliminate Kit's Proin after a while. Obviously your foster was able to be weaned off of it, so that is good to know! @mico - I don't like to unnecessarily medicate myself, let alone my pets, but I think Bootz's comment that the whole point of Proin is to help re-gain control before the problem becomes extreme really helped me put things into perspective. Kit clearly doesn't handle it well when she has her little accidents. I'd rather put her on less medication now and hopefully be able to reduce/wean her off of it sooner because we addressed it early than to wait til the problem becomes unbearable and have a big problem on our hands! It's a tough call though, I hope things get better for Suki! On a completely different note, when I went to pick up the medication, my vet hands me this giant bottle of 180 pills... I felt like I was medicating a horse or something! Apparently it is significantly cheaper to purchase this stuff in bulk than it is in normal dosage amounts, and it prevents me from making frequent trips to the vet so it works for me! 180 is too much. I think 40-50 is plenty. But better to have more than not enough. Suki started on proin syrup 0.4ml twice a day on Tuesday and so far we haven't seen any side effects (we were told to watch for an aversion to light/headaches) and she's not had an accident since then. She's on that dose for a month and then the vet will start reducing it and as there weren't any crystals in her urine we can start reintroducing normal food and weaning her off the special diet in 2 wks. The vet's still not 100% happy with the scan pics of her bladder. They've been sent to a specialist for review and she'll be referred to him if the medication doesn't work but for now we're hoping she won't need any invasive treatment. Just out of curiosity, did anyone notice increased shedding in their shiba on Proin? I haven't read anything about it being a regular side effect, but you never know! Kit generally blows her coat twice a year and then very lightly sheds throughout the rest of the year. For the past couple of weeks she has been full out shedding, almost like another blow. I'm not sure if it's a side effect of the Proin and is something that is going to continue or if it's related to the fact that we had a very strange Spring and the huge temperature swings we had are having a long-term effect on her shedding this Summer! Suki's shedding like crazy too. She always sheds in may because she looks terrible on her birthday but I can't remember if she shed again at this time of year. she's still leaking, mainly early evening before she's fed, and when she's asleep, so we've been advised to spread her medicine over 3 doses. We're in the process of weaning her off the prescription diet and onto a low protein dry food it was going great until we switched to 70:30 new food and she's stopped eating. The vet says not to worry but I hate seeing her look so miserable. Kit's not doing too bad. She's stopped leaking for the most part. She seems to have a little bit of a shorter fuse lately, so I'm not sure if that's attributed to the Proin or not. Overall though her side effects have been pretty minimal and it seems to be helping! Poor Suki :( I hope she starts feeling and eating better! Reviving this thread as we are dealing with sleepytime incontinence with our 3.5 year old neutered boy. Has anyone here used Proin on their male shiba? If so, were you able to use it short term only, like some of the above comments (Bootz?)? @EJH, our neutered boy experienced sleep incontinence when he was about 2 years old. We did try Proin, which was successful, but it made him very irritable. He has a history of anxiety and reactivity, so the extra boost was too much. It's worth a try though! Did you boy's incontinence go away, or is it still an issue you deal with? Did you try anything else besides Proin?